Polycom RealPresence Trio 8800 is the latest conference phone from Polycom. A stylistic evolution of Polycom’s industry leading selection of IP conference phones, the Polycom Trio features sharp design, advanced technology and simple usability. It’s no wonder that the Polycom Trio is a TMC Internet Telephony Product of the Year for 2016. The name, Trio, might clue you in: this is no ordinary conference phone. Rather, the Trio is a collaboration hub. And businesses are responding. 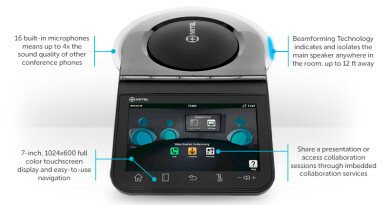 The Trio is quickly becoming the must-have conference phone for forward-looking enterprises. With the Trio, Polycom is looking to the future of business technology. We’re going to talk a bit about style before we get into the meat of this discussion, which covers the reason for the name Trio: voice, content and video. Why focus on the style of the Trio? Because it’s stylish! Style matters much, much more than most tech companies think—just ask Apple and their accountants. 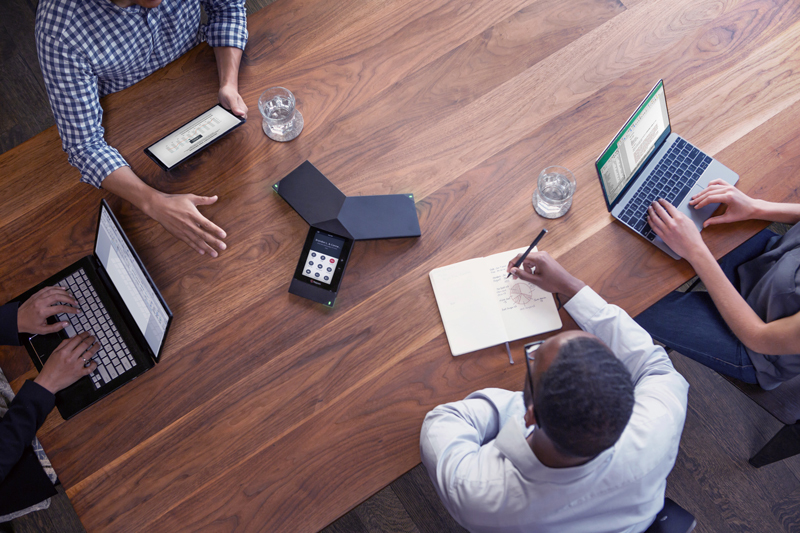 With the Trio, Polycom makes the argument that a conference phone doesn’t have to be simply a tool. It can also be a centerpiece. How would you describe the Trio? 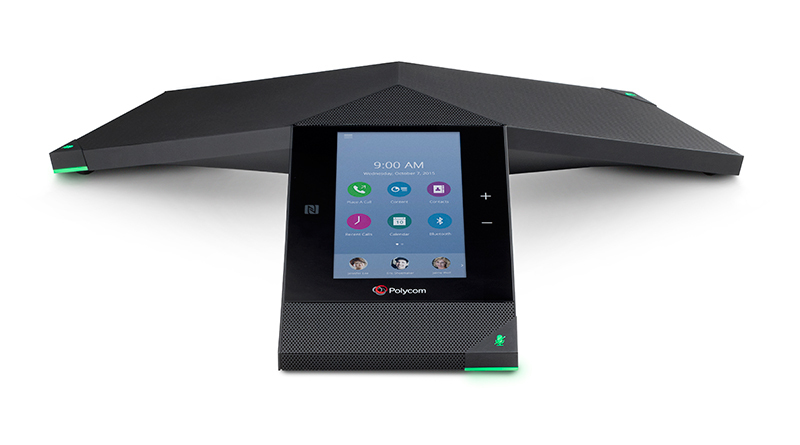 Take Polycom’s familiar three-wing conference phone design, that elegant solution to the problem of 360° audio. Now make the wings flat and sleek, fit for today’s offices. Much like today’s flat and sleek websites make older ones look passé, the Trio makes older conference phones look bulky and out of touch with the feel of today. One wing has a bright and colorful 5” display that uses an interface everyone knows: smartphone-style icons selected by touch. This interface, when you set up the Trio to work with Skype for Business, can take on the look of Microsoft’s popular unified communications platform, making the transition from computer or mobile device to conference phone seamless. The flat card style of web design arose to make websites easier to use—and they have. 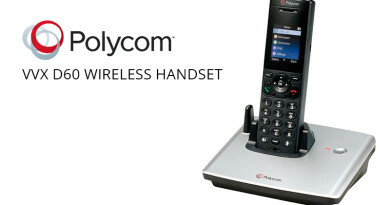 Polycom has found a way of bringing that simplicity and ease of use to the conference phone. But of course the Trio is not called the Solo: it’s not just a conference phone. When you integrate the Polycom RealPresence Trio Visual+ accessory and a webcam, you get a full-fledged unified communications system. It all starts with content. Content is, we admit, a very vague term. What do tech companies like Polycom mean when they say content? Content is the files that back up your points. Content is the charts and presentations and documents. Content is what gives participants a focus for their attention and what simplifies ideas to make them stick in your audience’s mind. When you connect the Visual+ accessory, the Trio lets you control your content through your conference phone. Why is support of content through your conference phone a good idea? One of the most difficult aspects of any conference is getting everything to work together. This can mean getting all the people in the room at the same time, or in modern offices, getting people patched in via audio or streaming via livefeed. As anyone who’s tried to coordinate a PowerPoint presentation with a teleconference can attest, it’s… not easy, to say the least. Polycom Trio removes the complications and lets you focus on collaborating, by organizing all the content streams and making sure that everything runs smoothly. You can easily connect using your own PC, smartphone or tablet—whatever suits your needs. You can pair devices with the Trio via USB, NFC, Bluetooth or through the IP network. Polycom has designed it to be easy. BYOD offices will especially appreciate these features. 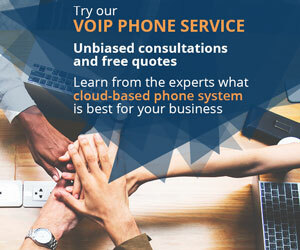 Moreover, the Trio has been designed to natively support Microsoft’s unified communications platforms, Office 365 Cloud PBX and Skype for Business (as well as Microsoft Lync 2013). Polycom has worked with Microsoft to produce a model of the Trio that is ready to go with your Microsoft system. The Visual+ accessory also lets you stream live video. The second aspect of the Trio is its video support. The Visual+ accessory lets you connect the Trio via HDMI to a monitor, which opens up the possibility of streaming 1080p Full HD video. Plug a USB camera into the accessory, and run an HDMI cable to your monitor. 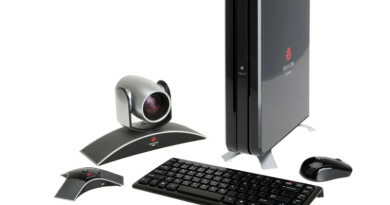 The Polycom RealPresence Trio Collaboration Kit comes with the Visual+ as well as a Logitech 1080p camera. This makes your conference phone into the hub of a collaboration ecosystem. 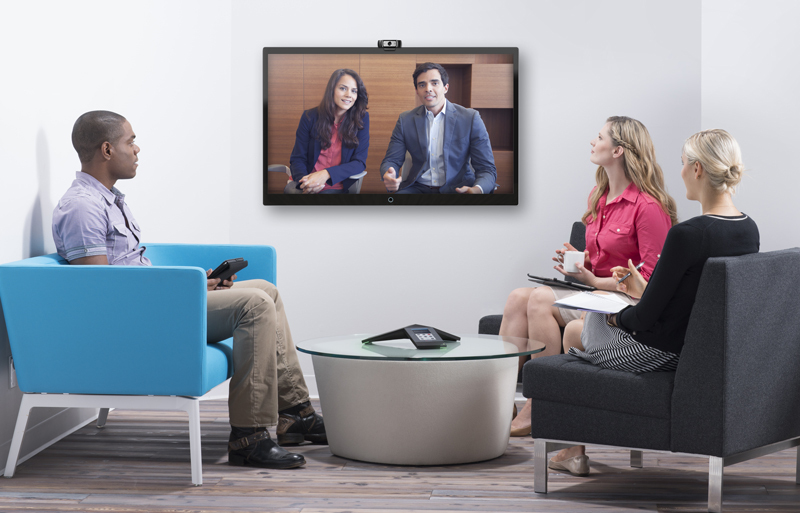 If video conferencing is what your organization needs at this moment, you can teleconference to your heart’s content. If content sharing is what’s needed, the Trio is there for you. If you want to place a conference call, you can’t do better than Polycom’s latest, improved voice technology. With native support for Microsoft Skype for Business, the Trio will let you video conference with all the value-add of unified communications. But everything with the Trio goes back to Polycom’s signature accomplishment: audio. 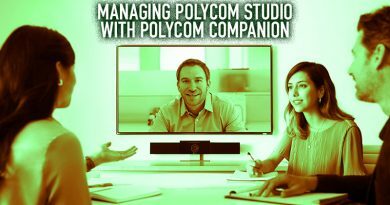 Polycom built their reputation on best-in-class audio quality. They’ve been pushing the envelope of audio quality from the start. It might be under-the-hood fundamentals like the wideband and fullband Siren codecs, which have now been adapted into industry standards. It might be the unmatched clarity provided by conference-specific technologies like Acoustic Fence. Whatever the case, Polycom brings their A game. With the Trio, they’ve outdone themselves. Polycom NoiseBlock technology automatically eliminates background noise, a huge advantage for conference phones, which need to handle many voices. Polycom has enhanced their already superior HD Voice technology, giving you even more naturalistic sound. A bass reflex port reproduces low frequency audio, opening up that great sound for deep voices and video soundtracks. With 360° coverage out to 20 feet, you get premium sound for a wide area. Expansion microphones are available for larger rooms. As a conference phone, the Polycom RealPresence Trio 8800 reigns supreme. 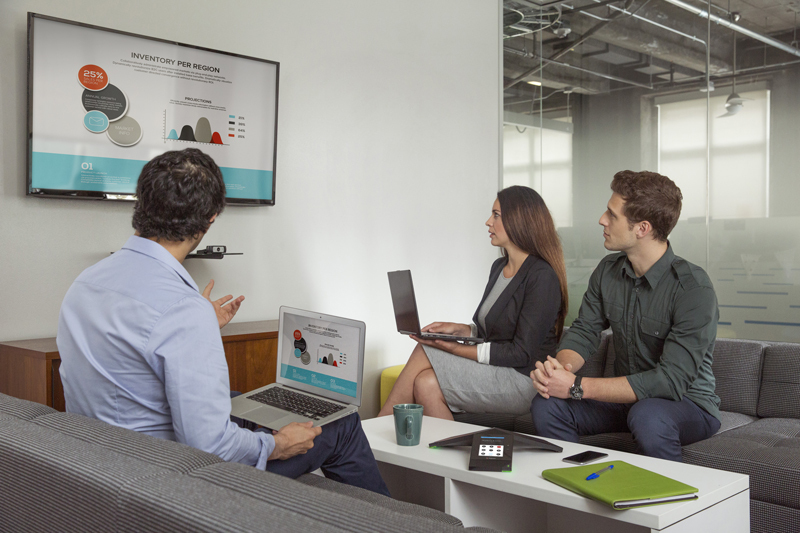 As a modular collaboration hub, the Trio defines a new format for business communications technology.